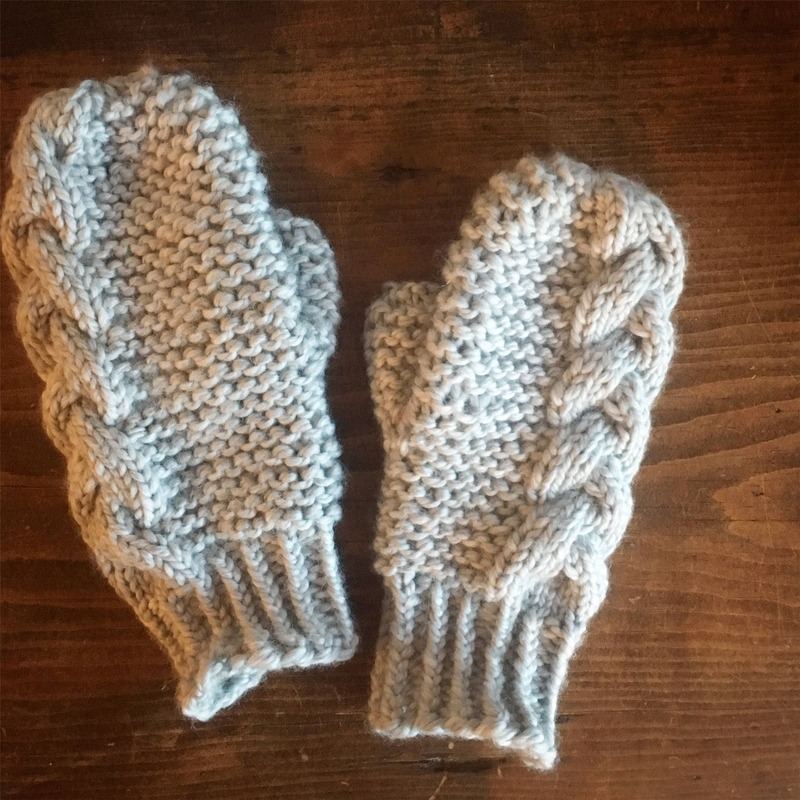 Pattern is "One size (medium)" but minor adjustments may be made for smaller or larger women's hands. Pattern does not include men's or children sizes. Includes standard American knitting instructions (written; not charted). 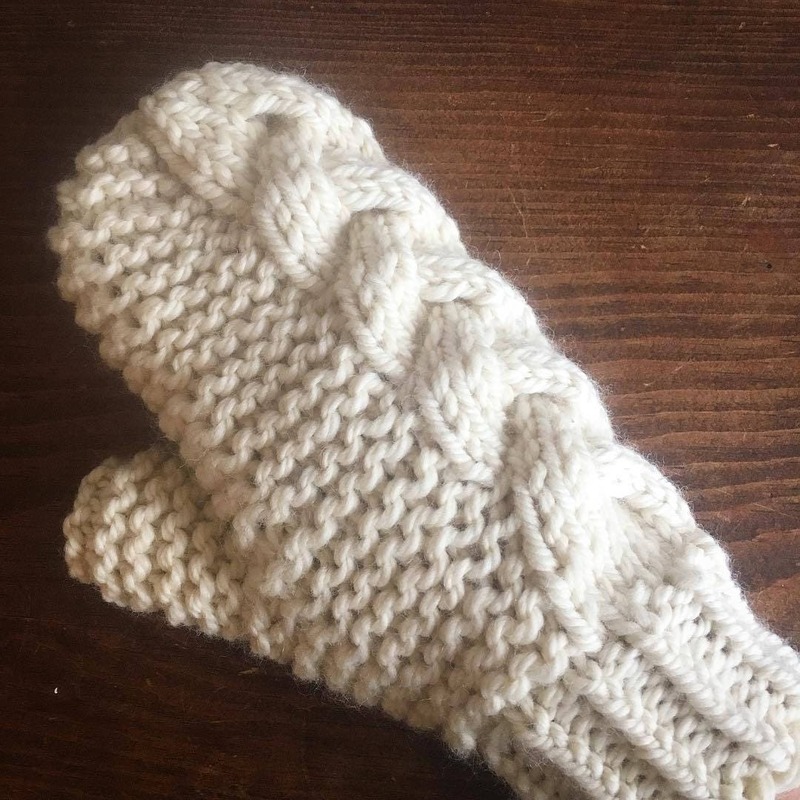 This is not a knitting tutorial. 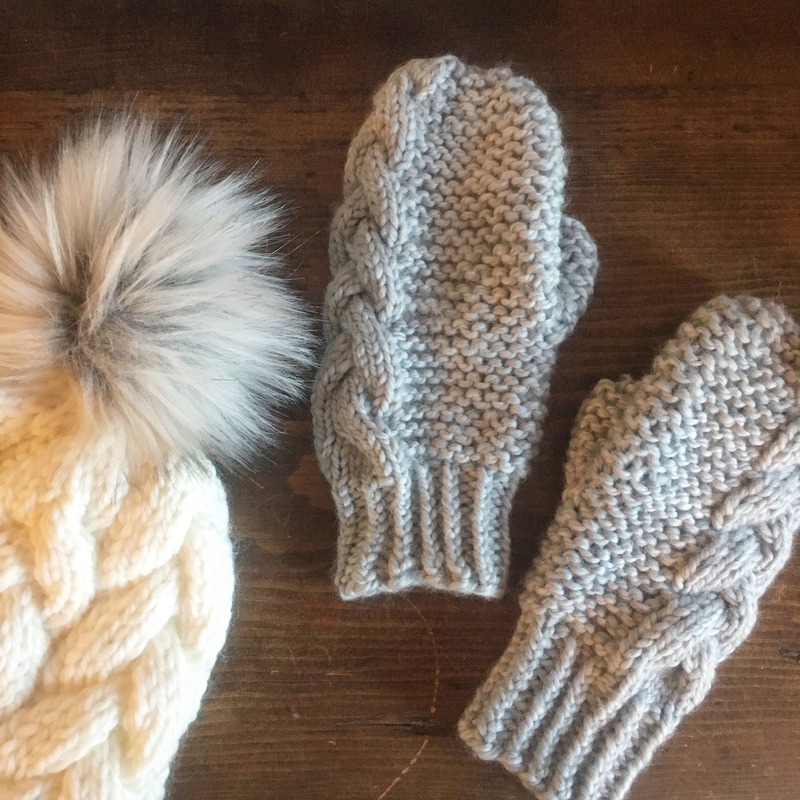 The Braided Cable Mittens are designed for the cable mitten lover and squishy yarn connoisseur; a compliment to the Braided Cable Beanie or the Big Braid Beanie. 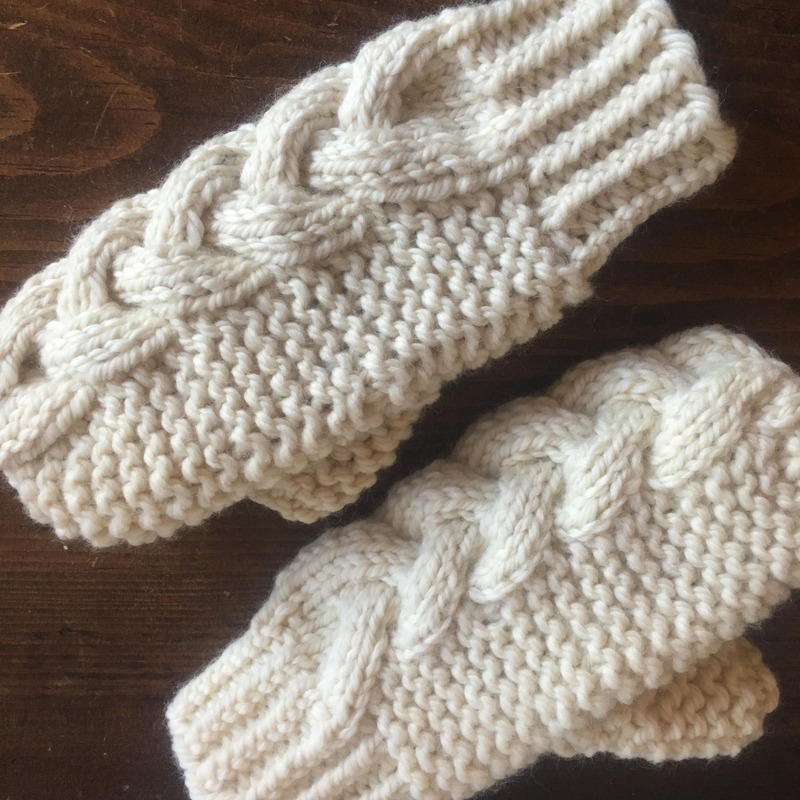 The mittens are knitted in the round with a snug twisted rib cuff and garter stitch body, flanked on the sides by a beautiful braided cable. 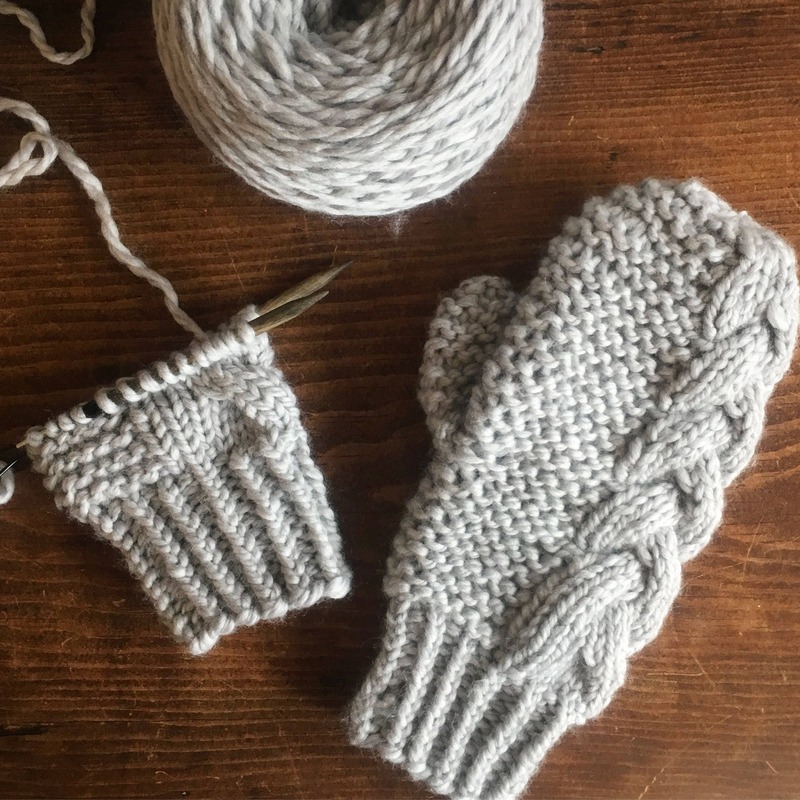 To keep things simple, an afterthought thumb is knitted at the end of your project. 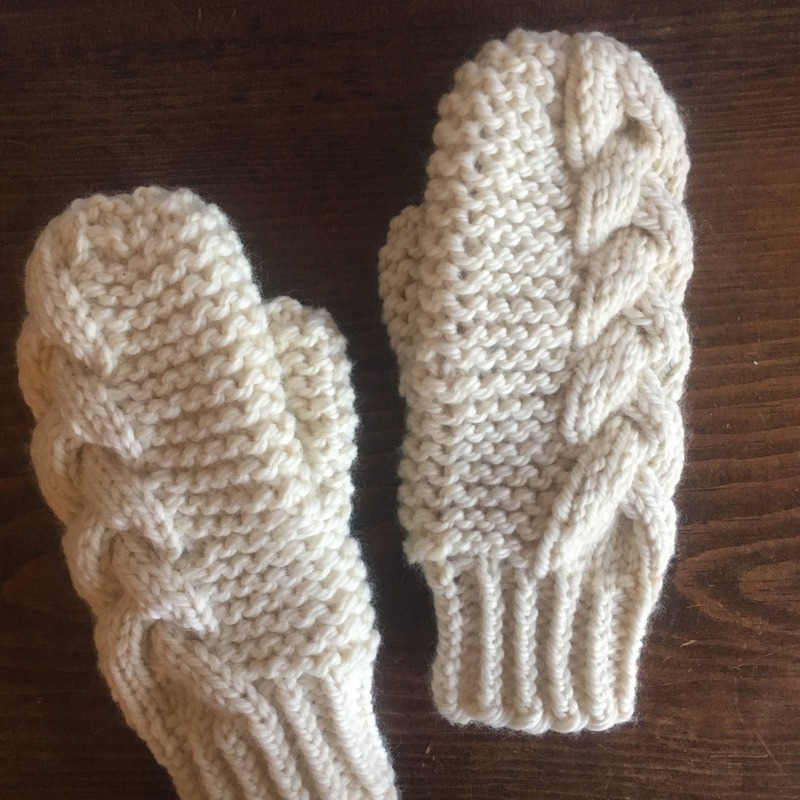 Due to the stretchy nature of bulky garter stitch, these mittens are considered size medium/average adult female or “one size fits most adult females”, however minor adjustments may be made for small or large hands. 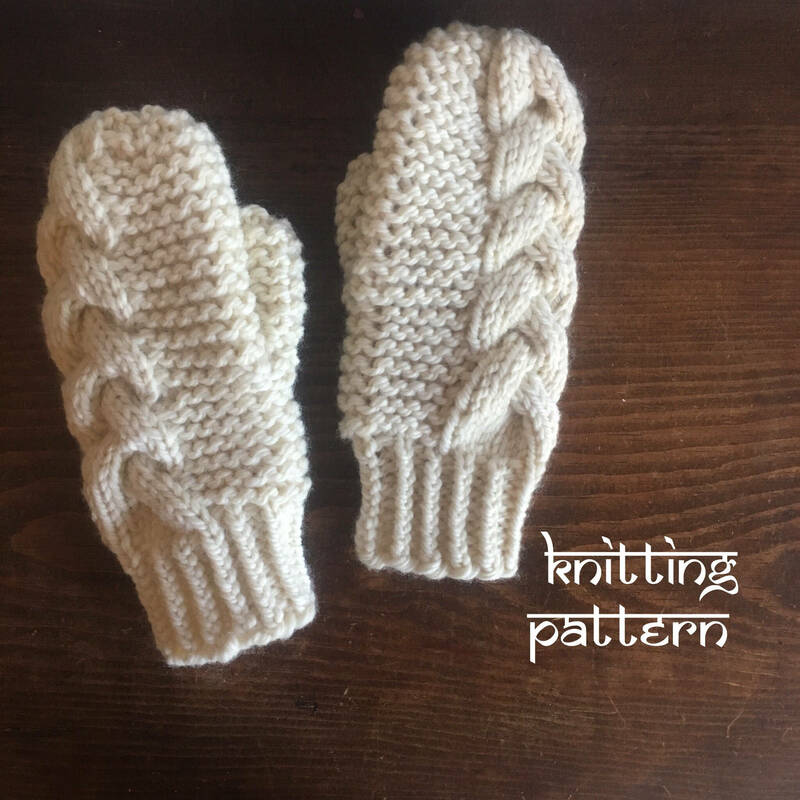 This knitting pattern assumes the user is familiar with knitting in the round on double pointed needles or with the magic loop method. The user must also be familiar with picking up stitches, decreasing and finishing techniques.